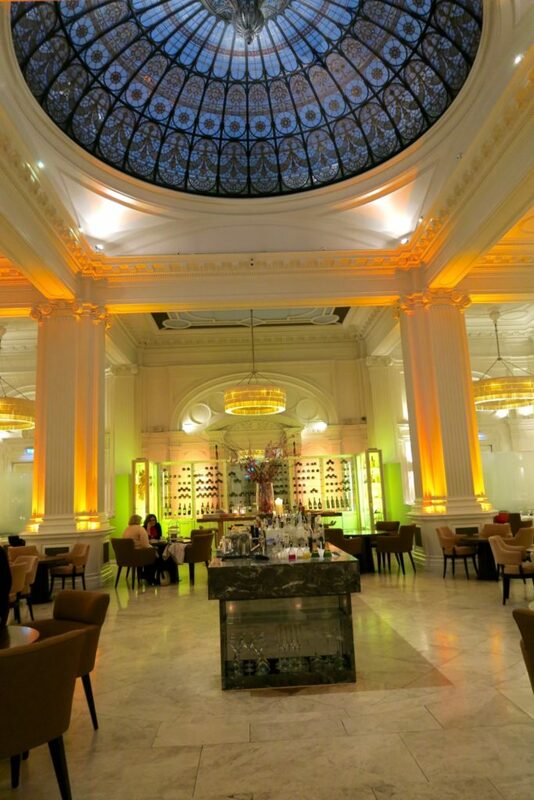 Hotel Review: Andaz Liverpool Street London - Holy Smithereens! 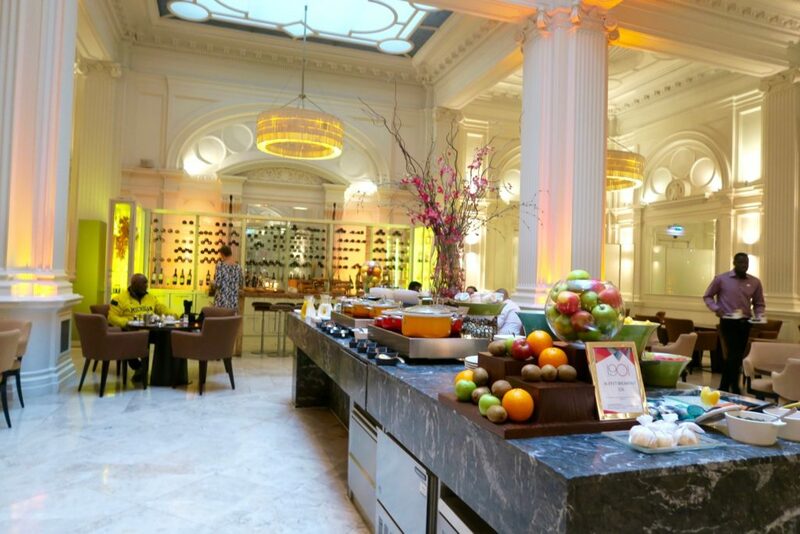 There couldn’t be a more perfect description for Andaz hotels, specifically the Andaz Liverpool Street London. It effectively combines historic elements with hip and modern designs with a beautifully eccentric vibe. 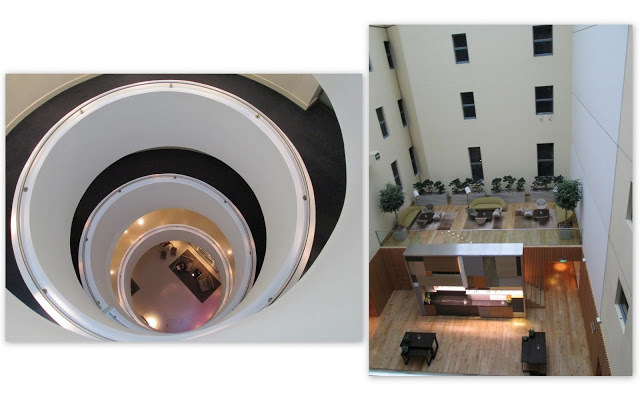 The reason for my return to the hotel is that I was highly impressed with its service and style. Many luxury boutique hotels attempt at quirky vibes and designs, but it is only at Andaz Liverpool St London where these two elements give a multi-dimensional experience for guests. 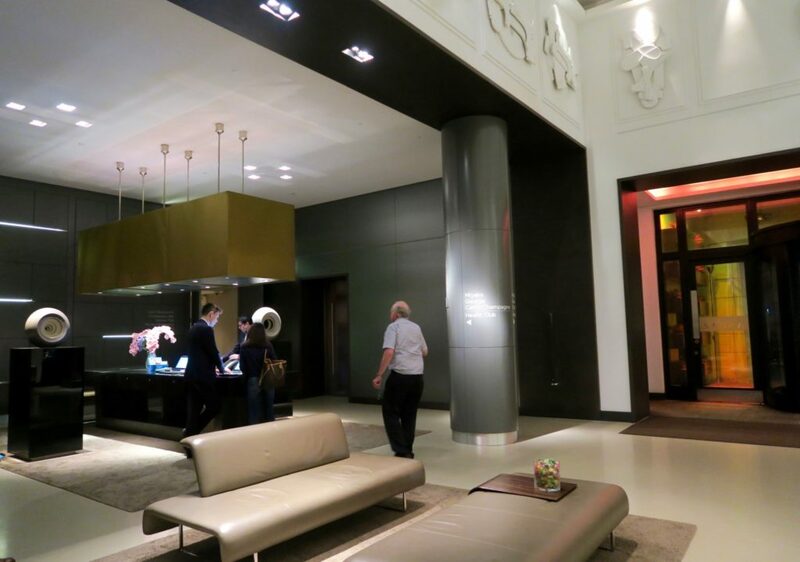 There are no ‘proper’ check-in desks at the Andaz London Liverpool St London. Sure there is one desk in the middle of the lobby, and there’s no ‘staff side’ or ‘guest side’. In fact, one does not even need to line up at all to check-in. 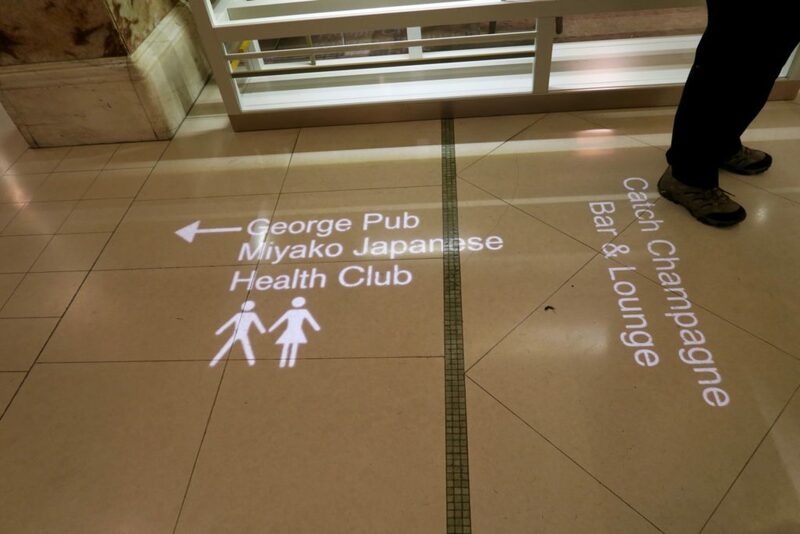 Wherever you may be in the lobby, staff will come to you with a tablet and check you in right then and there. 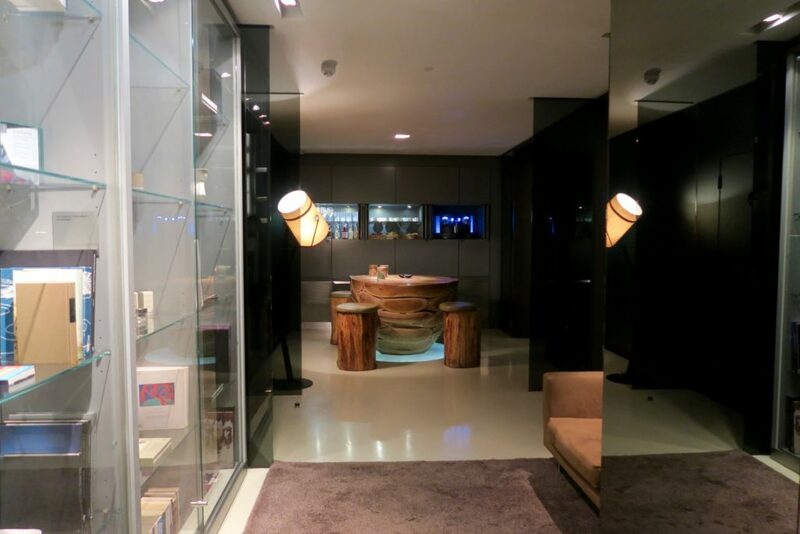 This feeling of transparency definitely adds to the modern and hip vibe of Andaz. As this is still as luxury category hotel, every room is assigned a ‘host’. Not quite a butler, but very much like an accommodating newfound friend who is willing to do his best to make you feel comfortable in his home. Our host was the amiable Alfonso, who was our only point of contact whenever we needed anything. We were checked in to the newly-installed “Room with a View” type (King room). 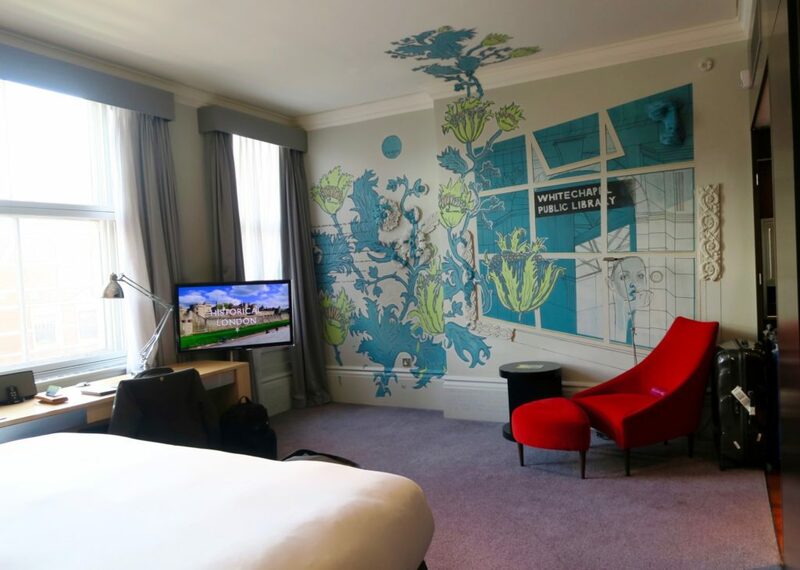 Not only does the room have a view of Liverpool Street (the hotel is literally next to Liverpool Street station), the room also has a bespoke wall art that depicts local London culture and surroundings. Our room wall mural was by Patrick Morgan, who drew inspiration from East London (where Andaz Liverpool is) local life alongside the unmistakable unassuming gaze of Twiggy, the original trailbrazer of English fashion. The wall art is also three dimensional, with some parts of the art protruding and extending well into the ceiling. 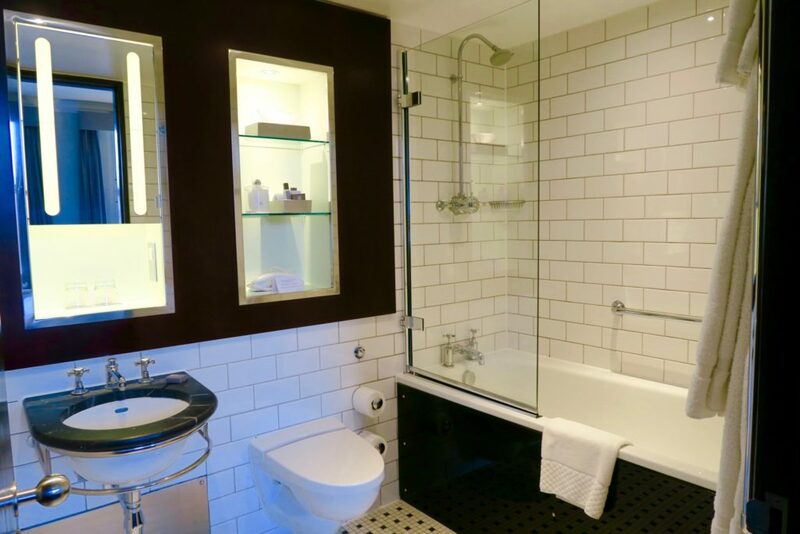 The bathroom, though quite compact, is designed to fit and jive with the hotel’s overall quirky theme. The bathroom is the sole part of the room where one can feel remnants of what it may have been like staying at The Great Eastern Hotel. The clever design also features a lot of shelves and storage space, along with a mirror medicine cabinet type. 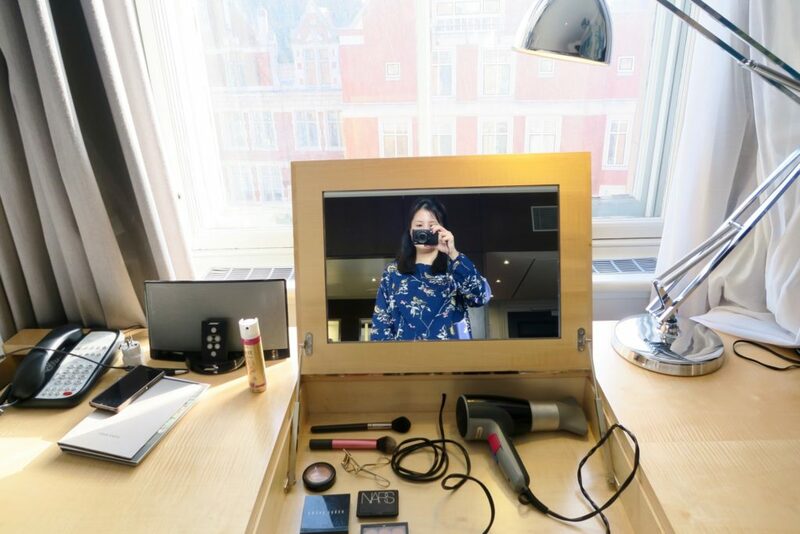 When I was instagramming live during my stay at the Andaz London Liverpool St, I likened the room and service to having your very own fairy godmother. They seem to know what you need before you even realise you need it. 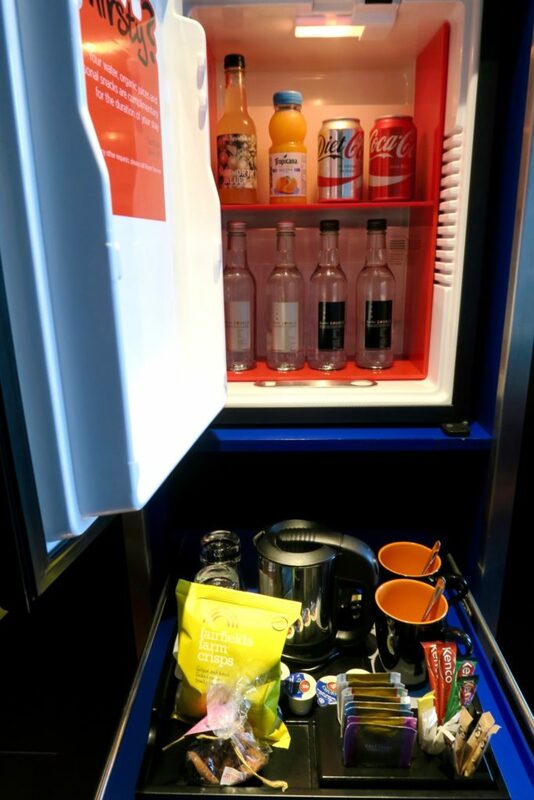 Take for example, the mini-bar service for the entire duration of your stay (for water, organic juices and snacks). You can even ask them to replenish stocks should you need second or third (or more?) rounds. What makes this the best hotel vanity? Well for one, it is positioned against natural sunlight and we all know that this is the BEST light for doing your makeup. Second, it does not take up too much space because it also doubles as a work station when you are done primping. But best of all, when I opened the vanity desk, there was note to say that, upon request the following are available for you to borrow: a hair straightener, an iron curler, nail polish remover, hairspray, deodorant, and a lighted makeup mirror. 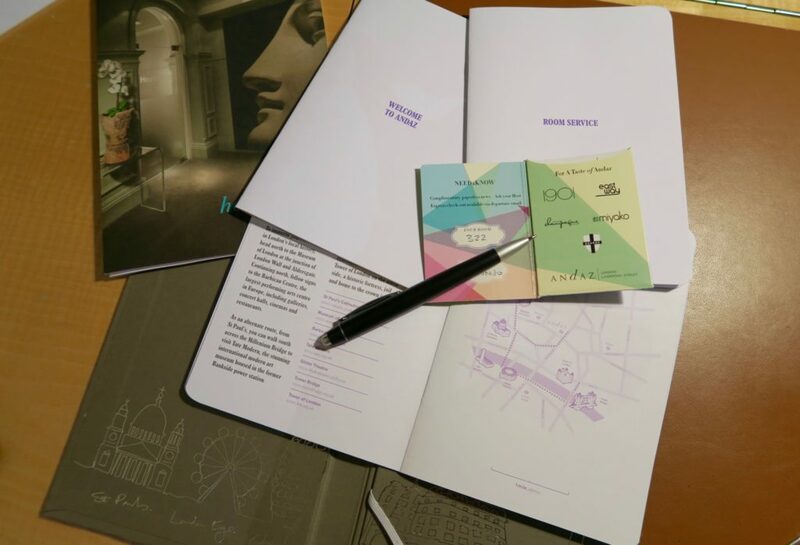 Another thing that’s in that magical work desk / vanity is a set of city guides that’s made specifically by Andaz, with suggested itineraries in certain areas of London. Of course, there’s a concentration on East London because that’s where the hotel is. I like that the guides are simple and not your generic hotel guides filled with ads and coupons. There are no brands mentioned in the guides at all and best of all, they’re in a discreet and small booklet which you can easily take with you when you go out. 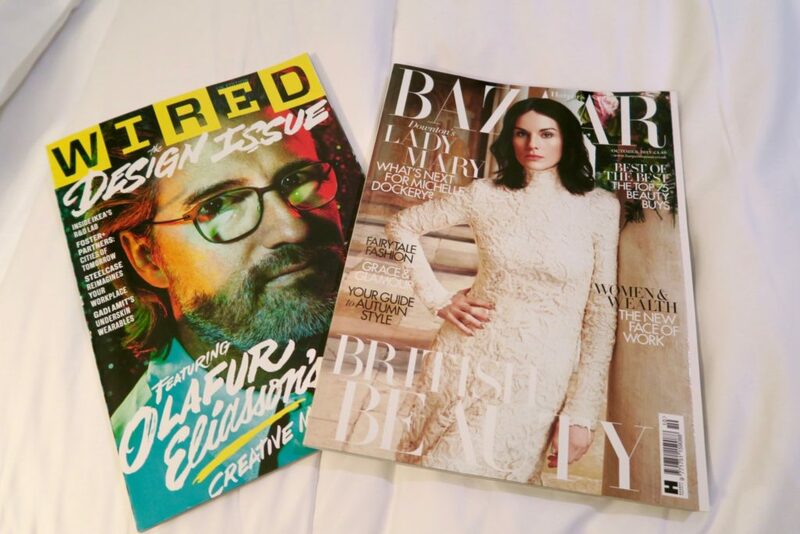 There were only two magazine selections in the room but they were well thought of his and hers magazines. Here’s another quirky design detail in the room. Do you notice anything? Well looming over us as we slept is a nose. Yup, a scultpure of just a nose. I love the randomness and oddity of it! Now that I’ve mentioned all the super intuitive features and service of the room, allow me to say that the service of Andaz London Liverpool is impressive beyond just human staff. Sure, the room host feautre is great and the staff overall are young, helpful, and quite friendly. I usually have one or two specific staff member that I rave about going above and beyond their service, but with Andaz Liverpool, it’s the overall combination of the little things offered plus the friendly human touch. For instance, the above area located in the lobby of the hotel is like a mini library / pantry / hangout place. Whenever we were headed to go out, staff members would always remind us to take some snacks with us on the road, which is a very thoughtful gesture. The complimentary (and free refills) mini-bar, along with the generous offerings of hairspray, hair tools, etc are proof that it’s indeed the small and simple details that often make a hotel stay memorable. Going around the hotel is quite an experience itself. It’s almost like a maze and interactive experience. Like a glamorous and Victorian Alice in Wonderland experience. One area of the hotel that’s really particularly interesting is the Masonic temple. For decades, staff at the Great Eastern Hotel just walked to and fro this wall, quite unaware of what lay behind it. 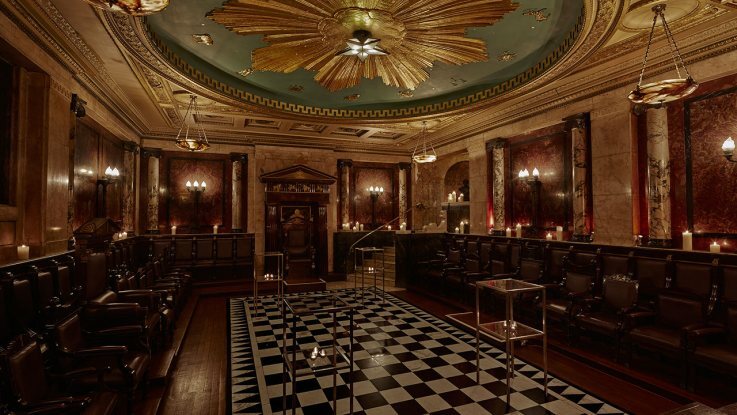 During reconstruction, when the wall was demolished, they discovered this Grade -II listed Greek Masonic Temple where Freemasons attended their Lodge meetings. Currently, it the place is used for events and shoots. During our stay, there was a travelling exhibit, and coincidentally, Part I (The Swan Song) was taking place at the Andaz London Liverpool St.
ZIERLE & CARTER The Swan Song (part i) from Pacitti Company on Vimeo. The ceiling of their fitness centre also has remnants / decors of the Masonic temple. I also loved their breakfast area. Breakfast is at the 1901 Restaurant, which is a restored area of the 1901 Ballroom. 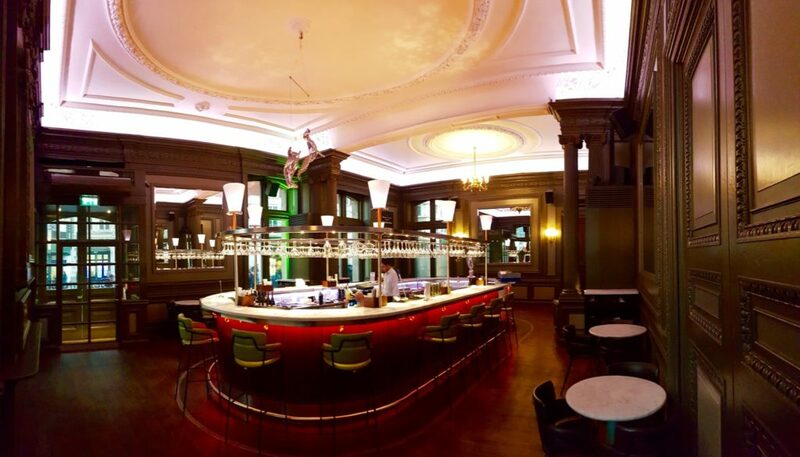 It’s been magnificently restored (classified Grade Two) which can seat 120 people, and 250 for a cocktail event. I rarely hang out in bars (as I don’t drink) but I can’t resist the Catch Champagne Bar. It’s probably the most beautifully designed hotel bars I’ve been to! 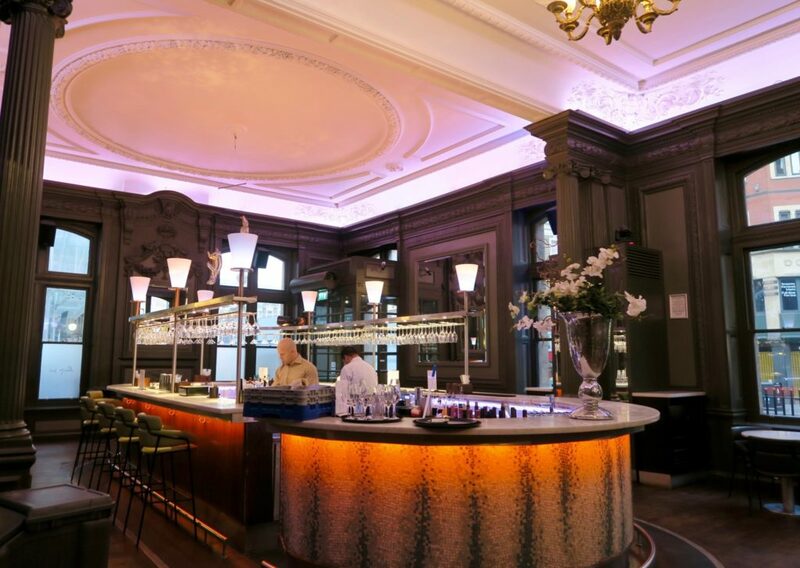 The lighting, surrounds, the retained decor of the Great Eastern Hotel along with the sparkling and sleek design of the bar itself really makes it an inviting place to stay. Andaz is a part of the Hyatt Hotel Group, and is classified under their “Lifestyle” hotel brand. There’s a reason I came back to this hotel (read my original review in 2012), and on my second return, I left even more impressed. As mentioned, I liked that their service didn’t just extend to the human staff but rather the intuitive little touches and gestures the hotel and the room is equipped with. 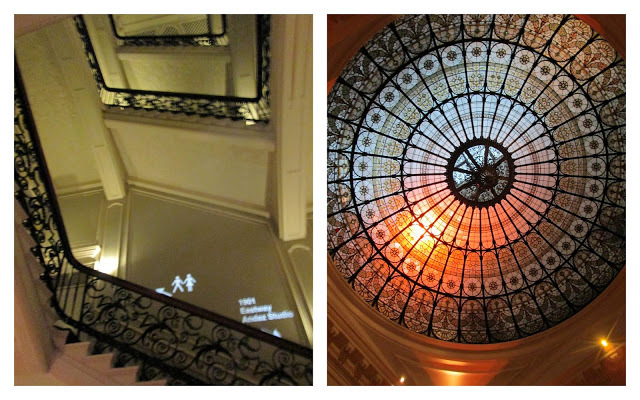 We stayed as guests of the Andaz London Liverpool but all opinions and views are mine. 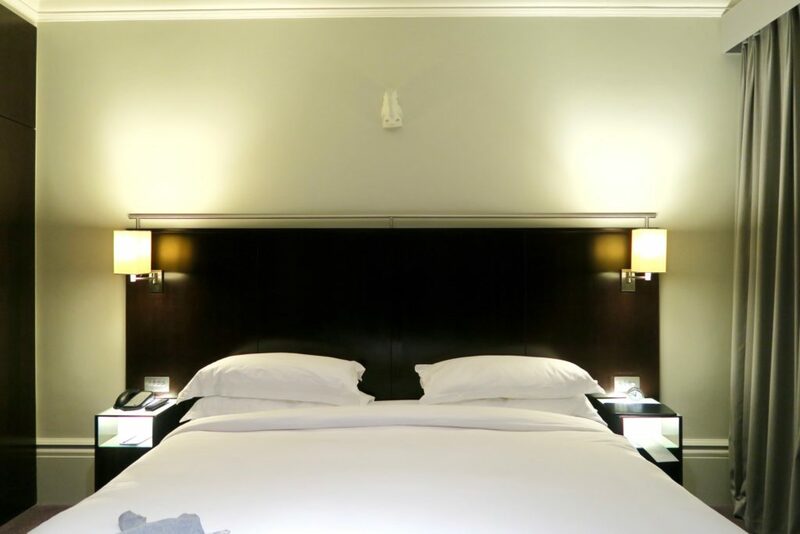 A standard rate at the Andaz Large King Room (the same room category we stayed at) begins at GBP 539.00 per night. So interesting! I’ve never heard of this chain or brand before. It sounds like they’re trying to do things differently. Wow… You really do visit some pretty spectacular places, love the light directions, although imagine things would be tricky in the case of an emergency. Yes, its very quirky! Makes your eyes wander in all different places. The signs – maybe they’d have different signs flash during an emergency? The “Exit” and Fire Exit signs are in normal signages though (in walls). Wow. The room looks so spacious compared to what you can otherwise find in London! Beautiful. I’m impressed by the vanity mirror and its service as well. More hotels should offer things like that! Absolutely agree, more hotels should do that. It’s very little effort from their end but makes a world of difference to guests experience! A fantastic review of The Andaz! I also wrote a review on their hotel. A great place indeed to visit and loved the modern feel to it. I also had the same reading material as you! Great review and this brought back some fond memories!